Local radio stations can be a powerful means of communication, particularly to smallholder farmers located in remote rural places. When listening to the radio, they feel connected to the rest of the world and become better informed. In northern Mozambique, the Programme for the Promotion of Rural Markets (Programa de Promoçao de Mercados Rurais-PROMER), supported by the International Fund for Agricultural Development (IFAD) and the government of Mozambique, is using community radio stations as a creative way to disseminate market price and product information. Timely and reliable information on market prices, quantities available and transport costs is crucial for these farmers to sell at a better price. 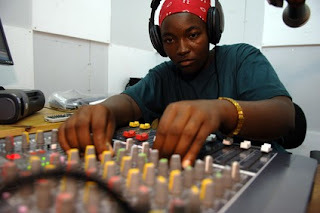 Currently, PROMER is broadcasting through 10 community radio stations based in the provinces of Cabo Delgado, Nampula, Niassa and Zambezia where the programme is being implemented. Most of these radio stations already existed as part of a government’s plan to reach out to the remote rural areas of northern Mozambique. PROMER identified them as a good channel to communicate prices to farmers. A local market bulletin, which include prices for the main markets and availability of produce in the Farmers Asociations supported by the programme, is broadcast several times per week.